Mister Rogers arrives with a fife which he has borrowed from Joe Negri. Expressing how difficult it is to play the fife, Mister Rogers takes viewers to the kitchen where he has a row of bottles set up. Using these bottles, filled with various amounts of water, Mister Rogers is able to play Tree Tree Tree. Joe Negri stops by to pick up his fife and invites Mister Roges to join him on a visit to Betty Aberlin's Little Theater. At the theater, a group of musicians demonstrates the fife and plays it along with their drums. In the Neighborhood of Make-Believe, everyone is excited as the Neighborhood picnic is being held in the castle's Park Room. As she hurries by the clock, Lady Aberlin agrees to take Daniel to the picnic. 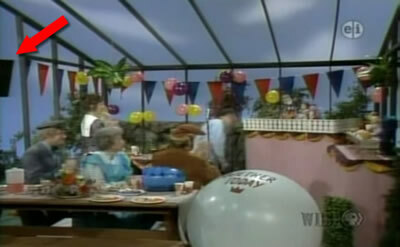 When she does not arrive, Mr. McFeely helps Daniel call the castle where Lady Aberlin has apparently forgotten about Daniel among the busy picnic preparations. Rushing to the clock, Lady Aberlin apologizes to Daniel who is obviously feeling very sad. The friends make amends and together they leave for the picnic where everyone enjoys some music by We Royal Three -- a musical group comprised of the royal family. We Royal Three performs Many Ways to Say I Love You. As they play, all of the Neighbors share their own verses of the song. 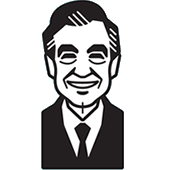 Back at the house, Mister Rogers talks about broken promises and being understanding when others forget. Before concluding for the day, Mister Rogers attempts to play Many Ways to Say I Love You using the bottles in the kitchen. In this episode, Bob Trow appears in the Neighborhood of Make-Believe as both Bob Dog and Robert Troll. As Handyman Negri introduces We Royal Three, for a few seconds a studio camera can be seen moving into the left side of the picture.